This month, we’re going wild! We invite you to take part in a series of creative challenges set by the Bronze Oak Project who use art to bring us closer to nature. If you haven’t already started getting wild with us this November, please take part in our quiz to find out how much of a nature superhero you are! We’ll also ask you at the end of the challenges and a month after that. Track your journey and share your superpower with others whilst helping us learn more about the role creativity can play in connecting us with our natural world. We are in the colourful midst of autumn and with all of the vibrant reds, greens and oranges around us, trees are on our mind. We think trees are amazing, they produce oxygen, provide shelter and provide food, life and habitat. Did you know that the oldest oak trees emerged from their acorns one thousand years ago – around the time of the Domesday book? Imagine the change they have seen in their lifetimes! With these pillars of nature in mind, we would love for you to…. Tell a tree’s tall tale! Take a moment to find and choose a tree, then write a short story that illustrates a conversation between you and that tree. If you could talk to it, what do you think it would say? What have they seen in their life, and what are they thinking, feeling and saying? Why did you choose that tree? Create and write down your conversation as a story, poem or script, and see where it takes you. If you, or someone around you, were a tree, which tree would you/they choose to be? Would it be tall and strong, or a budding young sapling? Consider colours, shapes, sizes and places and make it yours. There are many ways of capturing your ideas, you could draw your tree, take a photograph of one or describe it in a poem – the choice is yours. How did you come to your decisions during this challenge? What was it like choose a particular tree? Did you notice things that you wouldn’t have normally, or that have gone unnoticed before? Did it make you think differently about the nature around you? 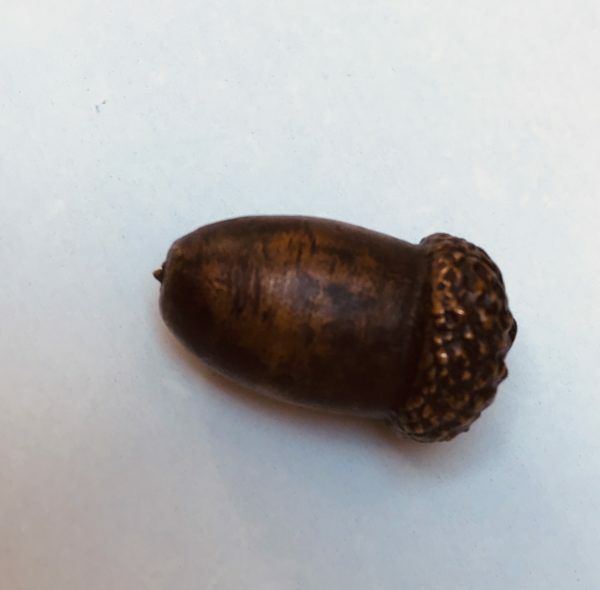 If you complete all four challenges and the quiz, you will be entered into a draw to win a beautiful limited edition bronze acorn kindly gifted to us by the Bronze Oak Project!